Nike NIKE 7070/1 Eyeglasses Color (001) GLOSS BLACK 100% Authentic, Price Match, Original Case, Cloth and Certificate Of Authenticity. Nike eyeglasses revolutionized sports eyewear by combining the passion in sports and in fashion. With the use of polycarbonate lenses that are light and designed with protection against impact scratch resistant and provided with optical quality coatings make Nike designer eyeglasses the best choice for people whose passion for sports are great. Our goal is to alleviate the stress and confusion of shopping for authentic brands eyeglasses. We enjoy elegant and classical brands and want to make sure you enjoy your selection as well. If you are not completely satisfied with any of our eyeglasses for any reason, please contact our Customer Service team for immediate assistance. 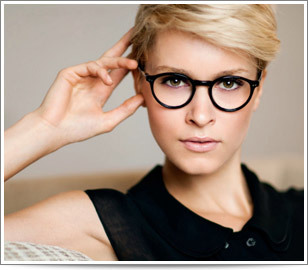 At FramesEmporium, we feel that you should only be purchasing eyeglasses that will please your sight. That is why we take the guesswork out of eyeglasses shopping by offering you a selection that is hand-picked designers by our discerning team. The FramesEmporium shopping experience is a pleasant alternative to gigantic websites and stores that can make choosing fine eyeglasses overwhelming. Instead, we go right to the source to find top quality brands, great value eyeglasses that are always a good choice. You will only get the best from FramesEmporium. Because we work directly with the top brokers and distributors our prices represent value that is well above what others in the marketplace can possibly offer. We offer low prices on all of our eyeglasses. Our Guarantee - With over 15 years of experience in authentic eyewear brands eyeglasses, we are confident that you will be pleased with your purchases from us. We stand by our great products and service and are proud of what we have to offer. If you don't like them (and we couldn't imagine why! ), our customer care team will swiftly and politely make things right. 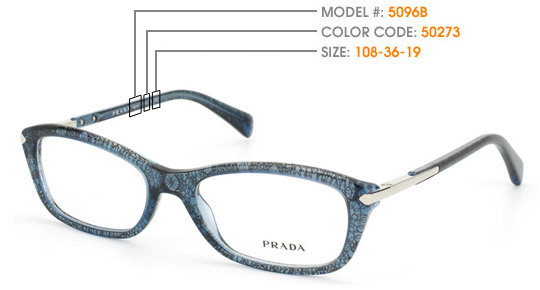 Frames Emporium guarantees that every pair of eyeglasses we sell are 100% authentic brand-name, brand new merchandise. Because we only work with authorized vendors, you can be assured that our merchandise is 100% authentic and brand new. Frames Emporium is the only internet sunglass store that is backed by buySAFE and carries the buySAFE Seal of Approval. Most merchants never qualify for buySAFE, and we're honored to have earned the buySAFE Seal of Approval. $10,000 ID Theft Protection. You get comprehensive protection up to $10,000 in the event your personal information is improperly handled as a result of your purchase with Frames Emporium. I got my daughter Prada sunglasses yesterday..Right on time for her birthday. I liked them so much. She also love them.. Thank you so much. For sure I will recommend your website to any one who wants to purchase sunglasses of great prices. Most of us know that when shopping online for most consumer goods including prescription glasses we expect to pay less than at brick and mortar retailers. That's probably why you came to the Frames Emporium website, but you may not be aware that the well known national retailers like Lens Crafters, Pearl Vision and others' markup on eyeglasses frames can routinely be 1000%! Yes that was one-thousand percent. Surprised? Just head to the mall, ask for some prices, and you'll see that this is the rule rather than the exception. At discount retailers like Costco, WAL-MART, TARGET you may find slightly lower prices ranging from $150-$300 and upward for a selection of less than acceptable frames with lenses. Buying glasses online can be an intimidating experience. Get an eye exam. Getting your eyes checked is important from both prescription strength and an eye health perspective. We recommend you keep a schedule and get this done annually. Get your full prescription. Be sure to have a copy of your prescription, by law the eye care professional needs to provide you with it. You may either fax or e-mail a scanned copy, or provide FramesEmporium.com with your doctor's name and phone number so we may contact your doctor directly. You may fax a copy of your prescription to 800- 685-6184 or email a scanned copy to cs@framesemporium.com. Get your Pupil Distance (PD). A PD Measurement or Pupil Distance can be taken at any optical store or from your doctor, and many optical stores will provide this service free of charge. DO NOT measure your own PD. A PD measurement MUST BE measured by an authorized optical professional only. Frame measurements are in millimeters. The size measurement numbers may appear in reverse order but usually the bridge size is the smallest, and the temple size is the largest. This is the only information you need when ordering your eyeglass or sunglass frames. If you need assistance identifying your frames, just contact FramesEmporium.com and our opticians will be more than happy to help. With this information at hand you can purchase eyeglasses online with confidence. Buying eyeglasses online can be as simple as buying a DVD or book online. Our staff will do everything possible to ensure you are getting a great value and your online shopping experience at FramesEmporium.com is a great one! If you are completely satisfied with your experience at Frames Emporium, please tell your friends about us. Thank you for recommending Frames Emporium to your friends. For every purchase made by your friends, we will email you a $20 gift certificate to use on your next purchase at FramesEmporium.com and instructions on how to redeem it.